Five drafts, three feedback sessions, two coaching appointments, one inquiry phone call. When speaking to an audience, I always strive to be relevant, engaging, informative and inspiring. 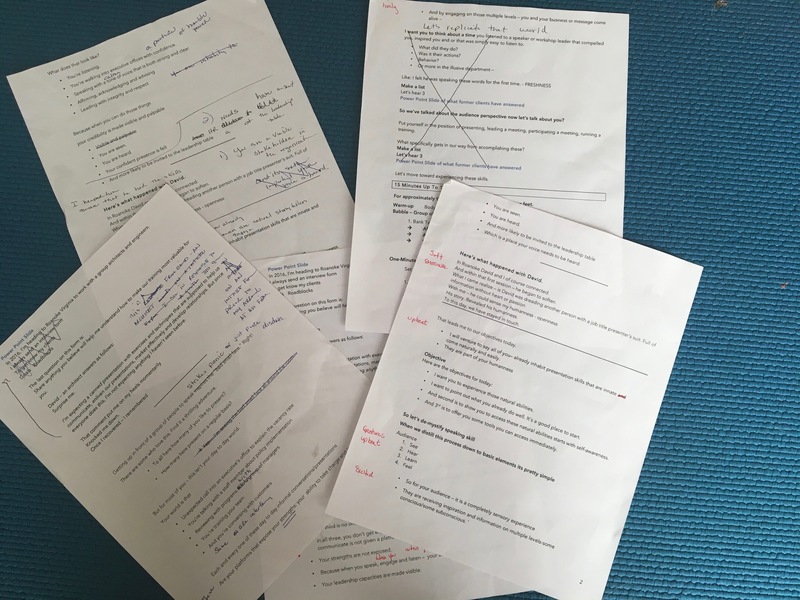 This is why, recently, before presenting for an organization, I did FIVE re-writes. You see, during a preparatory feedback session, I felt it instinctually. I thought, “I haven’t captured their story.” I sensed it in my gut. And…looking back, I was right! Are You Telling Your Audiences Story? Knowing your audience is one of the most crucial considerations when developing a speech. Always ask: “Who is listening?” And, then think of ONLY that audience from your draft to final delivery! This week, I’m facilitating twenty-six Information Technology (I.T.) experts. My first step? I Googled their job titles! Truth be told, I had never even heard of a Client Technology Manager or a Client System Specialist! My next step? I talked with three colleagues in the I.T. world. I asked them to describe, in detail, a “day in the life” of an I.T. Specialist. And finally, I read and re-read twenty-six pre-interview forms that provided me insightful answers from the group. These insights helped me as I have written (and re-written) my talk. At every level, I have asked, “Will this resonate?” and “Does this information meet their unique needs”? By understanding and capturing the world of my intended audience, I will be more likely to sound like a confident rather than an outsider when I get up to give my talk. And! Bonus! I’ve also grown as a professional! Who would’ve thought – I could speak “I.T.”?! As leaders, we start where they are and then invite them to take a journey with us – to a new perspective, a different viewpoint, a fresh idea or a whole new way of being in the world. Transformation and connection become possible when we are talking with our audience, instead of talking at them.